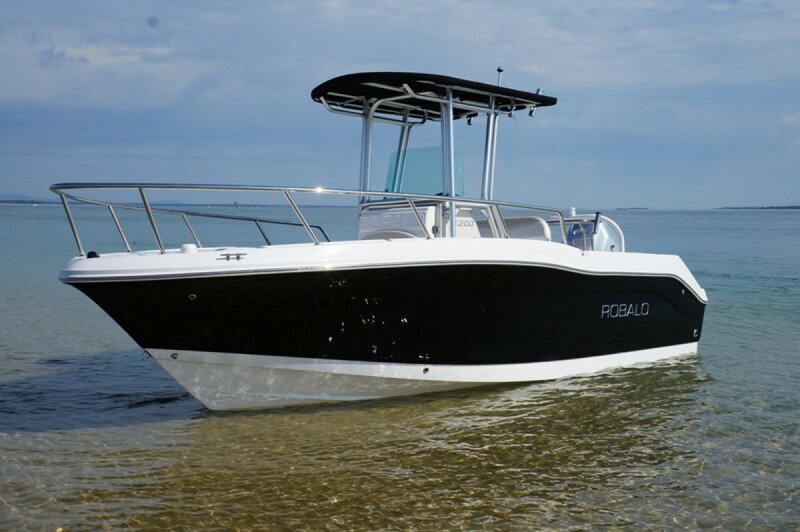 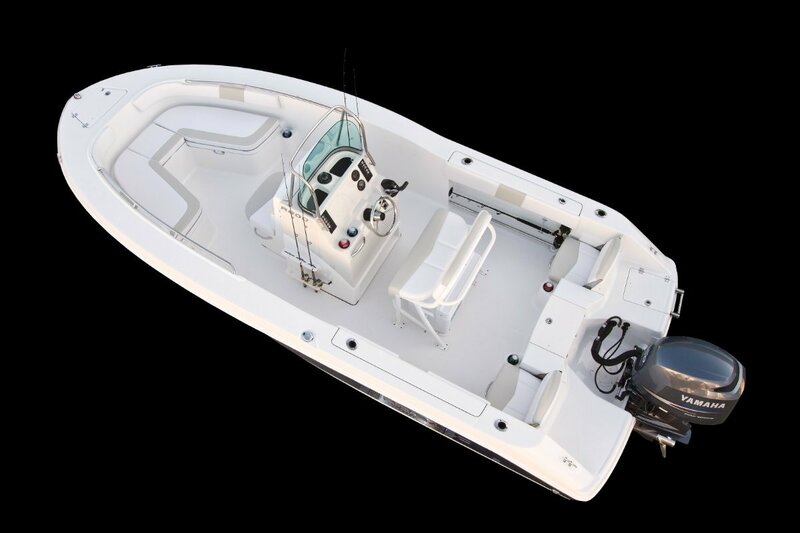 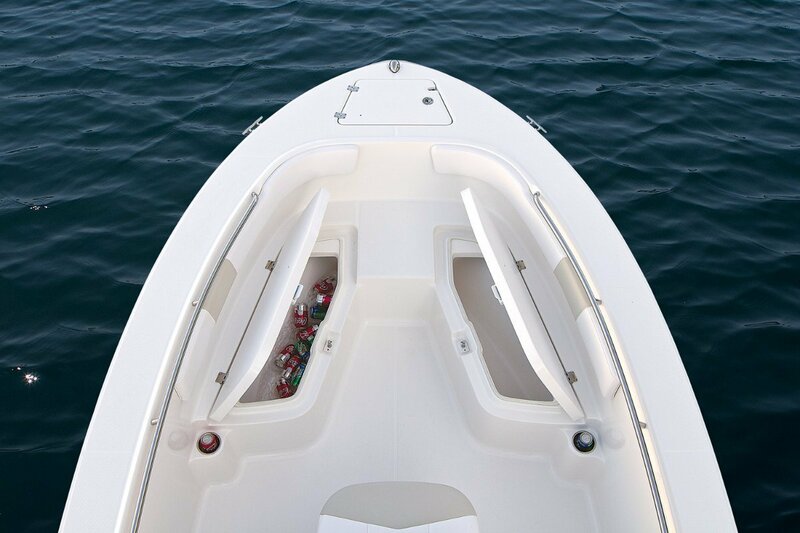 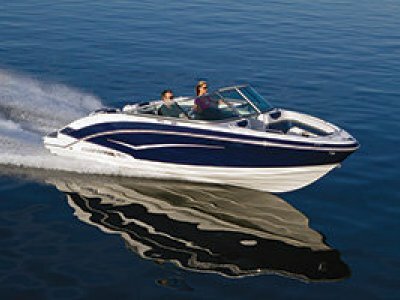 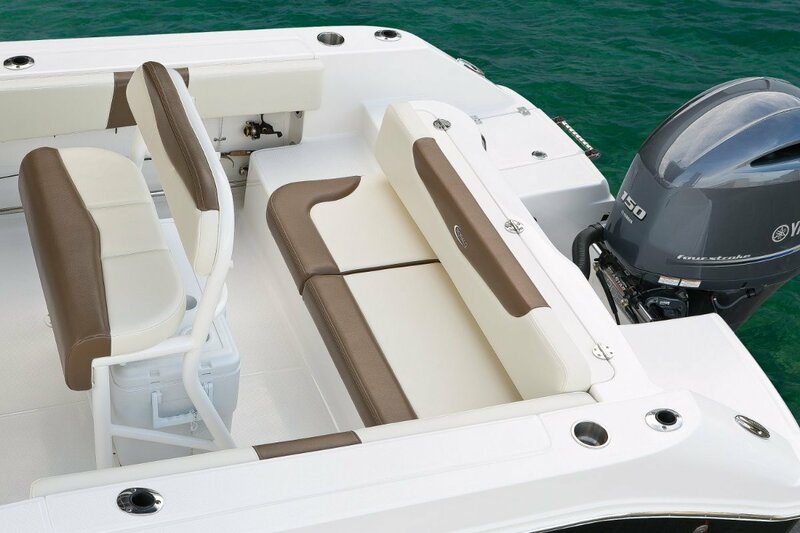 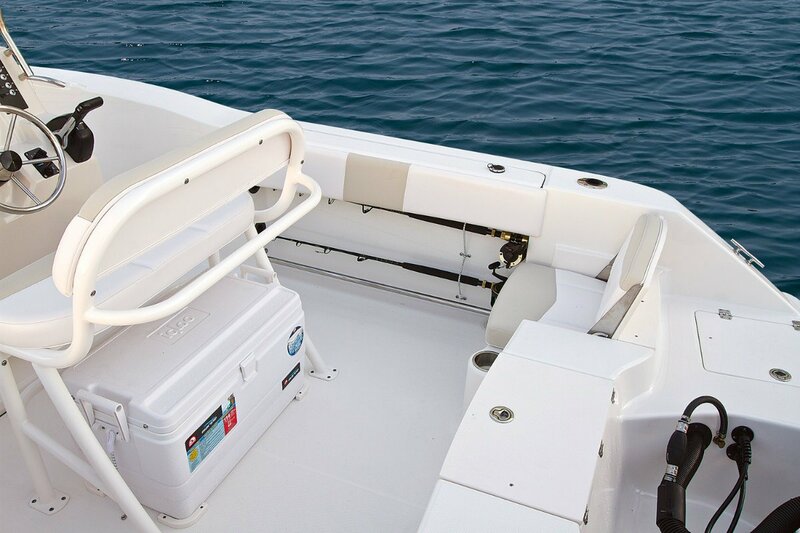 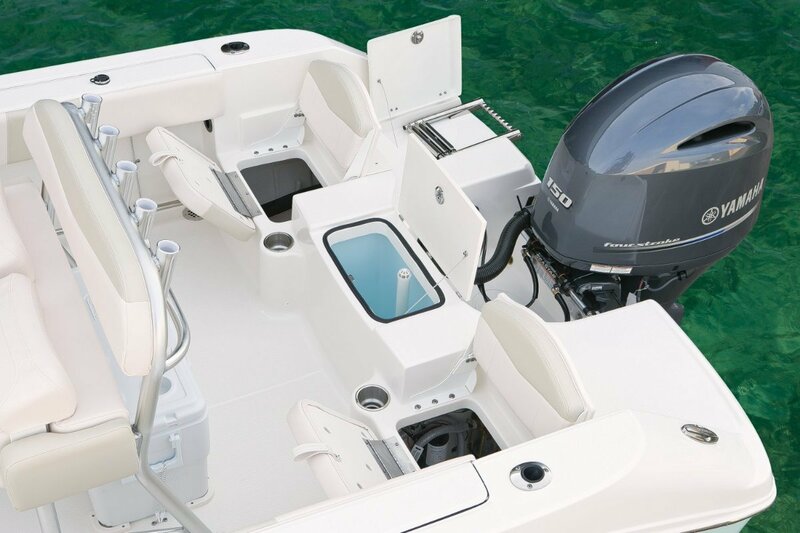 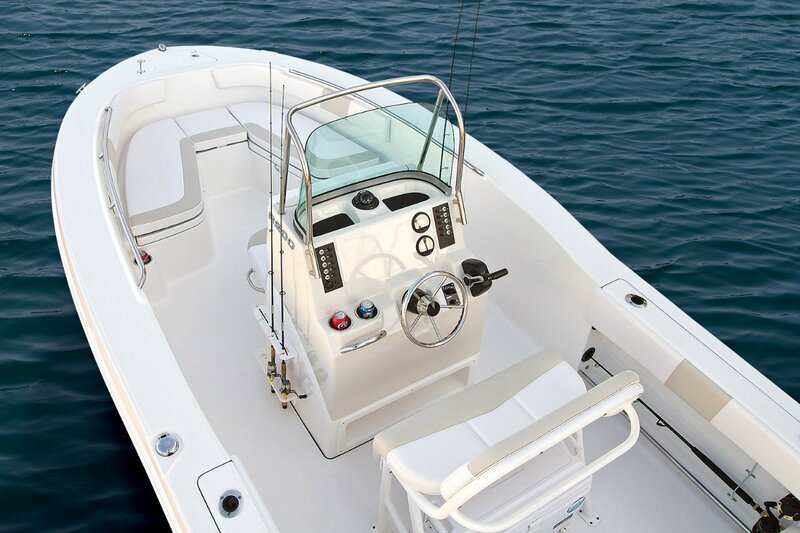 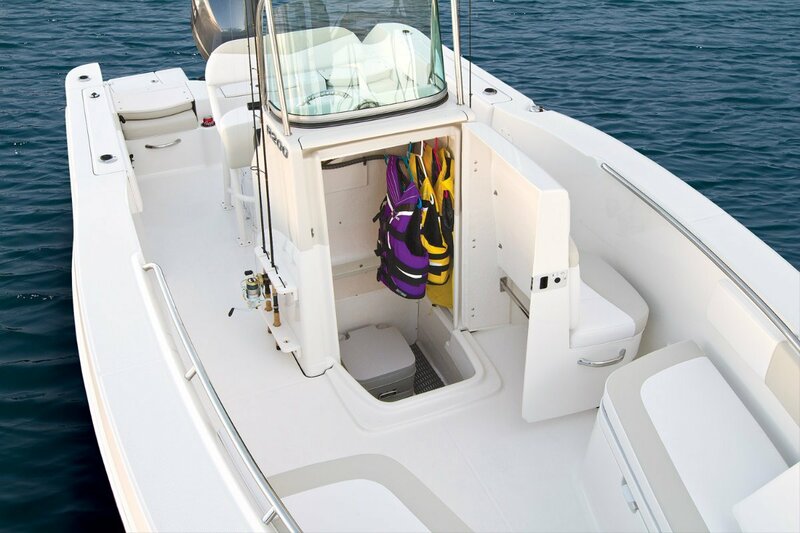 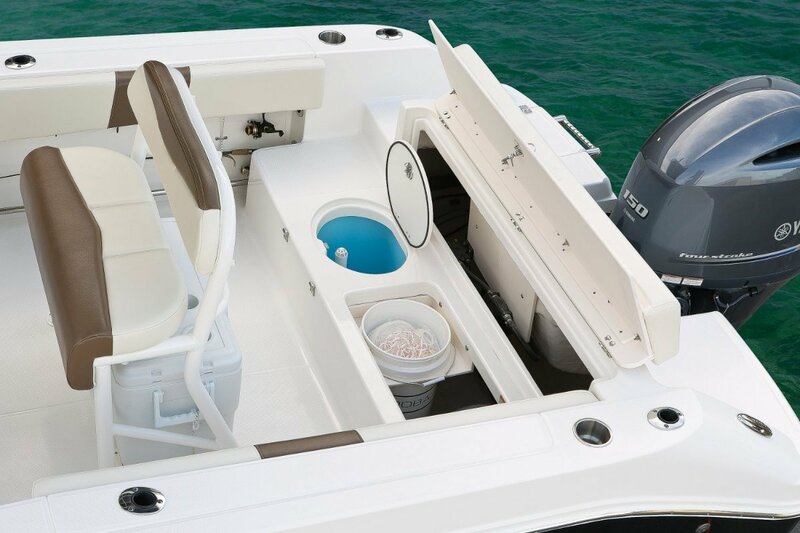 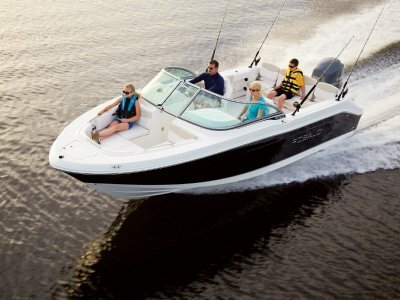 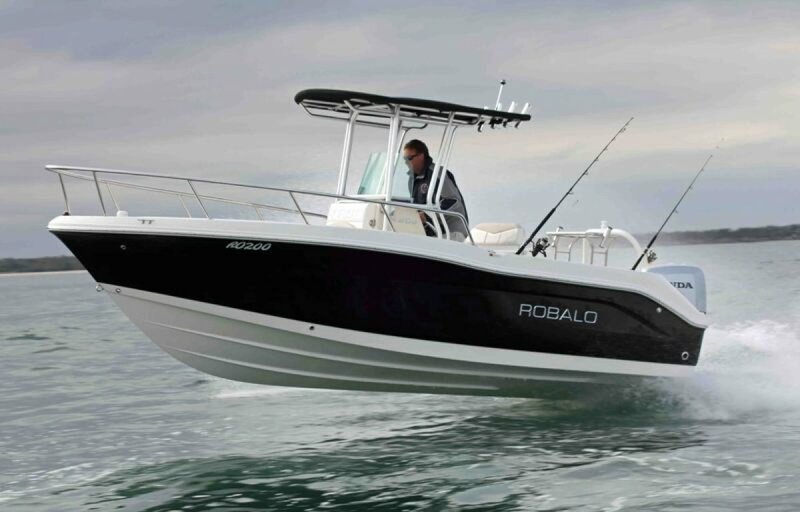 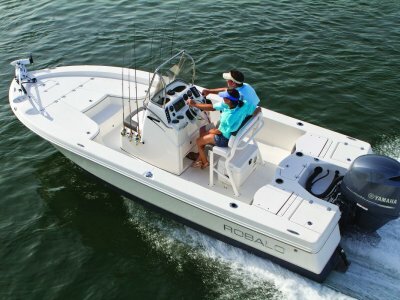 Robalo R200 Centre Console; softer ride, more storage, higher freeboard, better stability at rest and packed with standard features the Robalo R200 takes you to a new level. 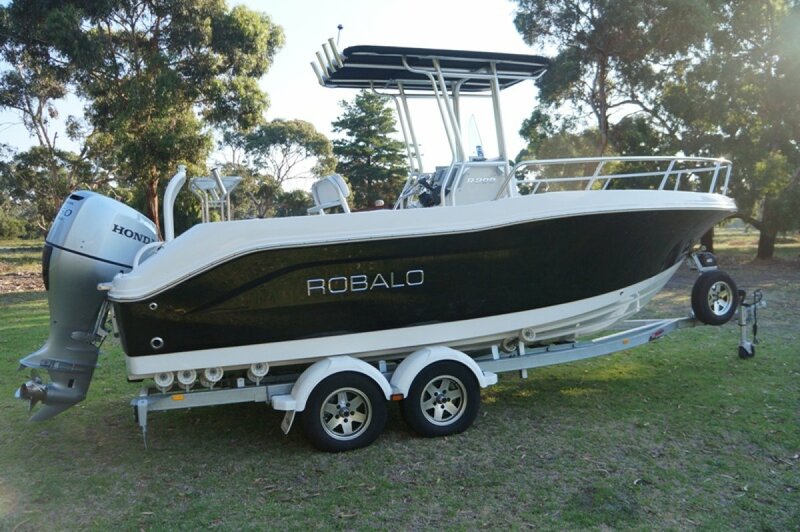 With a whopping 200 HP transom rating and 265 litre fuel capacity this is one serious fishing machine. 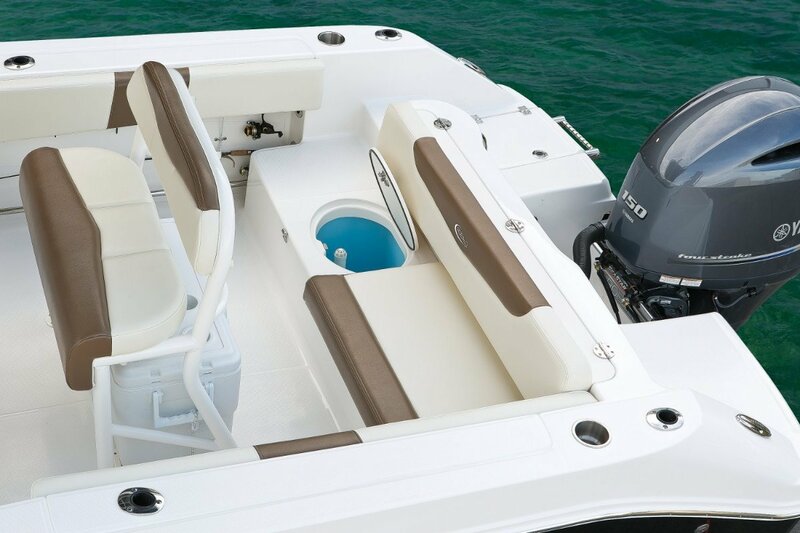 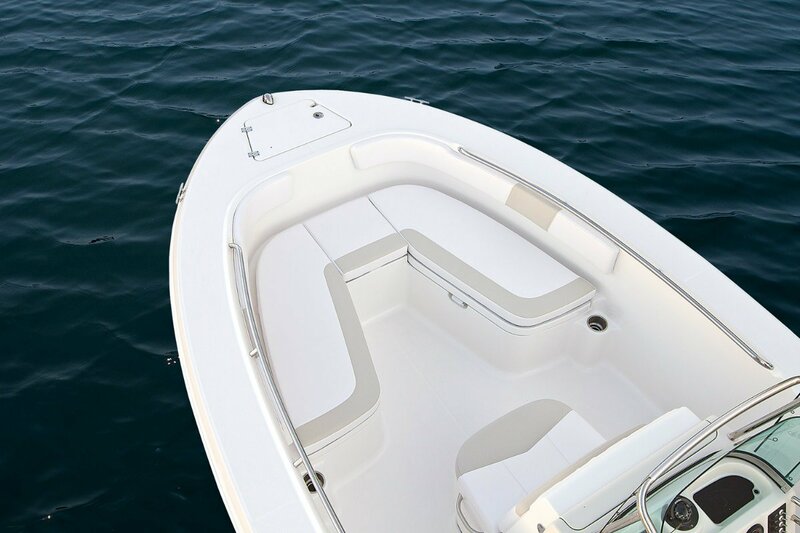 The wide flared bow guarantees a dry ride even in the ugliest water with the self draining decks, stainless grab & toe rails and encapsulated foam flotation ensuring you stay safe. 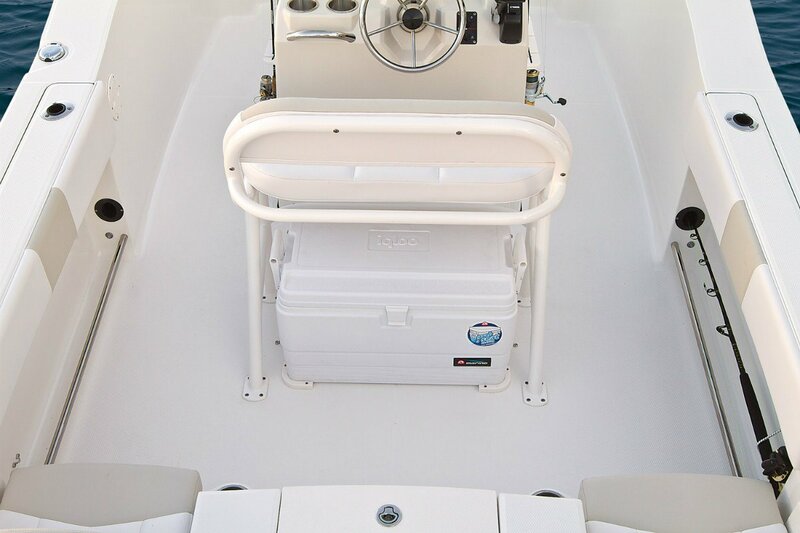 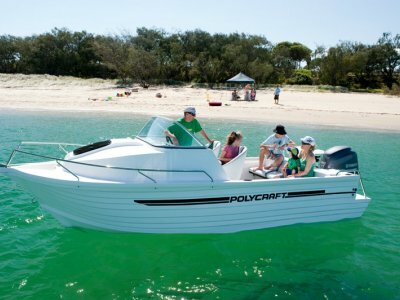 Standard live bait tank, big kill tanks, portable esky, convertible casting platforms, rod storage and big lockable under helm cabin make the R200 a class leader in the storage stakes and then the factory options list such as aluminium T-Top, ski tow frame, bow rails, porta pottie, Extra seating options (ES model) and electronics packages will make you the envy of your mates. 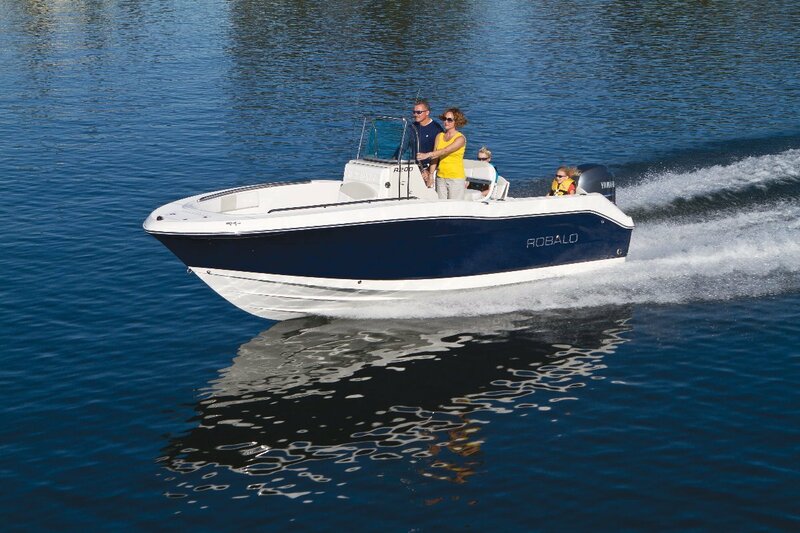 The stylish R200 is a cut above in features and in price.